The Redhawks fell to 0-4 in the WAC after trailing by 26 points at halftime. But the schedule gets markedly easier going forward. 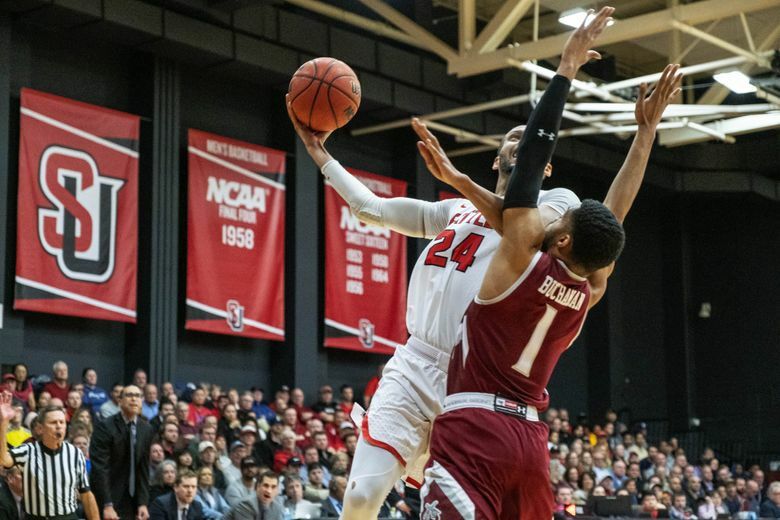 Seattle University knew its opening stretch of the Western Athletic Conference men’s basketball season would be tough. 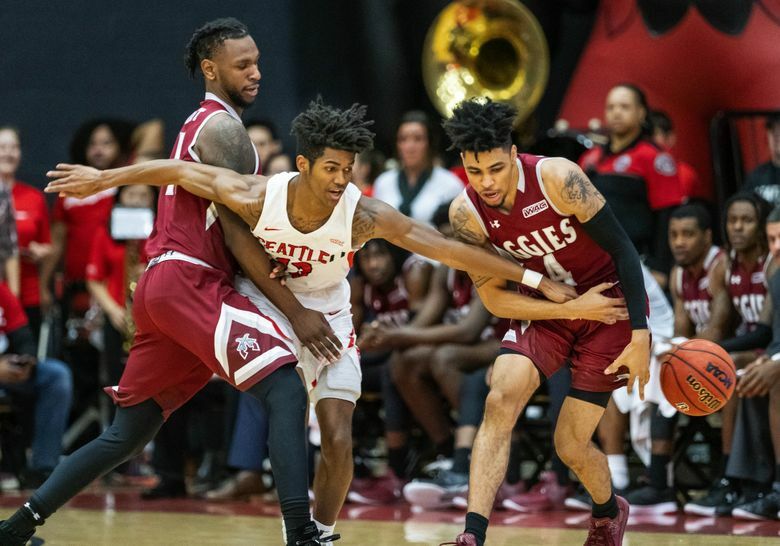 After three straight road losses to upper-level WAC opponents, the Redhawks’ struggles continued at home Thursday night as they were beaten by defending WAC champion New Mexico State 87-60 after trailing by 26 points at halftime. 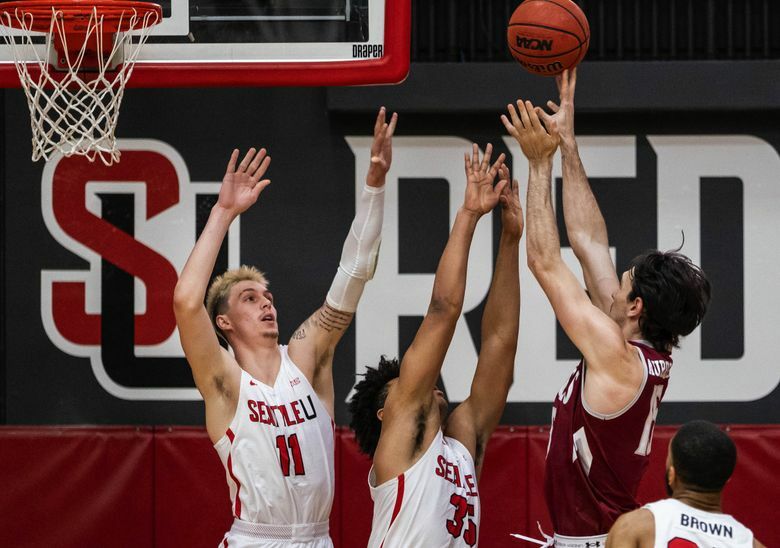 It certainly didn’t help that Seattle U is missing forward Matej Kavas, its third-leading scorer and best three-point shooter, who is out with a fractured shin. 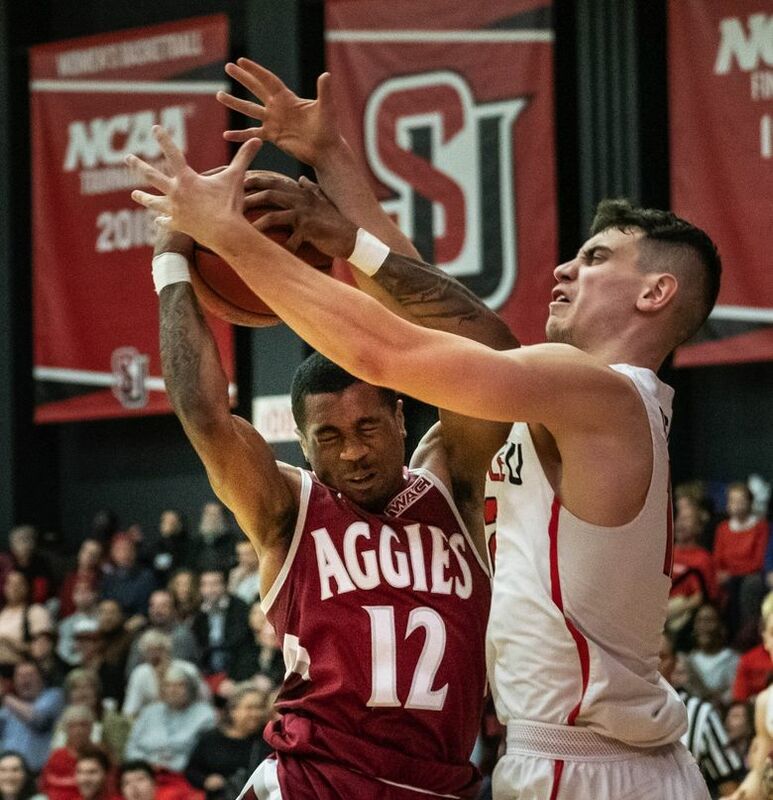 But it hurt just as much that Myles Carter, Seattle U’s best inside player, got three first-half fouls, and the Aggies (14-4, 3-1 WAC) capitalized on his departure by owning the boards. And it certainly didn’t help that everything New Mexico State threw up seemed to go in, particularly in the first half. Even a terrible shot was rewarded when a long straight-in three-pointer was so long that it banked in. 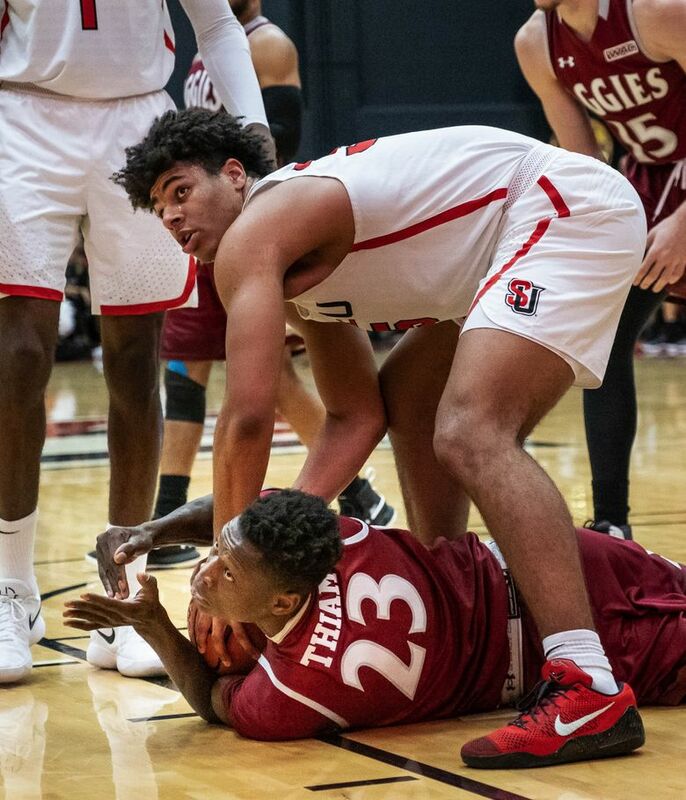 It was that kind of night for Seattle U, which seemed to have a lid on its basket in the first half. It all added up to an ugly loss that was essentially over at halftime with the Aggies ahead 50-24. 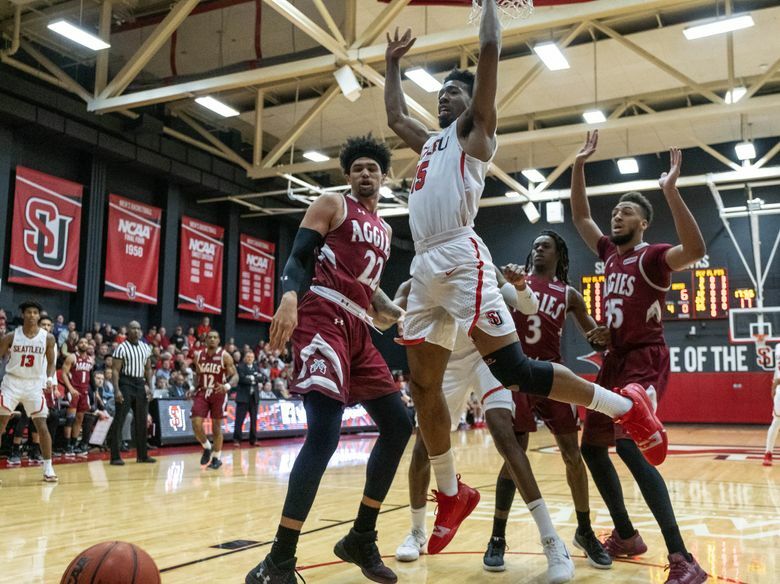 With Kavas out and guard Terrell Brown banged up and out of the starting lineup, the Redhawks needed their other top players to come up big. That didn’t happen. And after a 12-3 nonconference slate that included wins over Pac-12 teams, Seattle U fell to 12-7 overall and 0-4 in the WAC. Seattle U coach Jim Hayford did not meet with the media after the game, apparently still talking to his team more than an hour after it was over. In Seattle U’s previous loss, an 88-78 setback at Utah Valley after leading by 13 at halftime, Redhawks leading scorer Morgan Means was scoreless in the second half after scoring 20 in the first half. His struggles continued in the opening half against the Aggies. Means had three points in the first half on 1-of-6 shooting, while committing three turnovers and three fouls. In the second half, he landed on his forehead on a hard foul and needed stitches. It was that kind of night. Not surprisingly, all of the first-half numbers were grim for Seattle U. The Redhawks shot 31 percent and the Aggies shot 62 percent. 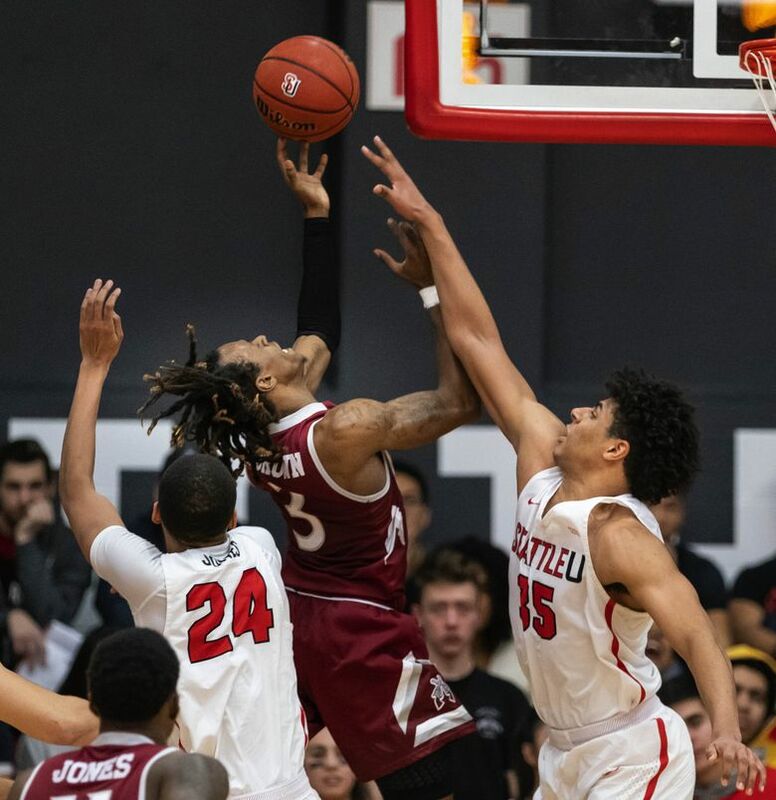 Seattle U was outrebounded 23-13 and it was no wonder Hayford didn’t bring his team back on the court until just before the second-half buzzer. Then, 30 seconds into the second half, Carter picked up his fourth foul. It was clear the only thing still at stake for Seattle U was pride. On that, the Redhawks succeeded, playing with greater passion and energy and cutting the lead to 16 points on a couple of occasions. Maybe that will help catapult Seattle U. Its schedule gets markedly easier, beginning with a home game against Texas Rio Grande Valley on Saturday. Not that it was much consolation Thursday night, not after four straight losses. Delante Jones scored 18 to lead Seattle U and Carter had 13 before fouling out with 9:45 remaining. But by then the outcome had long been decided.